Six pharmacies across Leeds are offering a service called Leeds Blood Pressure Wise to eligible patients. not have been diagnosed with high blood pressure. 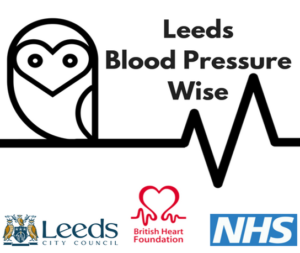 Leeds Blood Pressure Wise, a British Heart Foundation funded project, aims to increase detection of undiagnosed high blood pressure (hypertension), targeting people who may not attend the GP. In the UK, hypertension affects more than one in four adults and is the second biggest risk factor for premature death and disability. Hypertension rarely has noticeable symptoms, but if untreated, it increases the risk of serious problems such as heart attacks and strokes. The project will last for two years and hopes to provide a total of 2,400 blood pressure checks in pharmacies. Imaan Pharmacy, Harehills, LS9 7BD. The service gives you the option of visiting your local pharmacist for a blood pressure check. Patients with raised blood pressure will be loaned a monitor to track their blood pressure across the course of a week. After follow up at the pharmacy, anyone displaying raised blood pressure will be directed to their GP. Want to know more about Leeds Blood Pressure Wise? Speak to one of the participating pharmacies. Find out more about high blood pressure, and what to do to reduce it, visit NHS Choices here. For more information visit the British Heart Foundation.